As Tesla’s revenue kept increasing over the last ten years, the electric car maker’s research and development expenses followed suit. Tesla’s R&D spending reached $1.378 billion in 2017. Not a lot when compared to large auto companies. General Motors spent $7.3 billion in R&D in 2017, Volkswagen spent a whopping €13.135 billion, while Mercedes-Benz and BMW devoted € 6.642 and € 6.108 billion towards research and development. 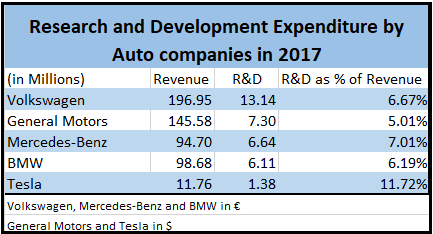 Though Tesla’s R&D spending looks very small when compared to large auto companies, Tesla comes out on top when we compare R&D spending as a percentage of revenue. Tesla spent nearly 12% of its revenue in 2017 for research and development while competition stopped at mid single digits. Tesla does not spend money on marketing, so it does make sense for them to pour as much money as they can into research and development and keep their innovation edge intact. But still, the double digit percentage spend has brought them a lot of trouble. Between fiscal 2008 and fiscal 2017, Tesla spent $4.276 billion in R&D. Tesla’s operating loss during the period was $4.186 billion. It is of-course not possible to bring down R&D expenditure to zero, but it is certainly possible to pull things back a bit. Even a 25% reduction in spending will give their operating income a huge boost, helping their case for profitablity. I don’t think Tesla will ever want to pull back on R&D spending. Because Tesla takes pride in being the lead innovator and it needs to spend money in R&D to hold on to their disruptor tag. All I wanted to do is point this out to people who keep talking about Tesla’s bankruptcy. Tesla has plenty of room to cut costs and become profitable if necessary. 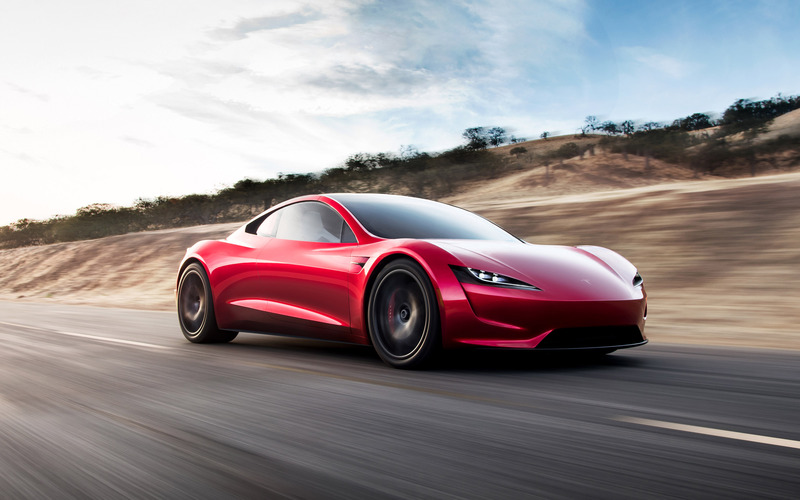 Over-the-air updates, remote diagnostics, Self-driving tech, battery tech, supercharging etc.etc – If this is what Tesla can get done by spending less than $5 billion dollars in research over ten years, how much more will they do when they start spending $5 billion dollars every year? Please take a look at Tesla in 1Page, to know more about Tesla’s history, their financials and everything that you need to know about Tesla.